Because horses are Adorable, Strong, and sweet. I take Horse Riding lessons once a month. One time when I was riding my horse got spooked! 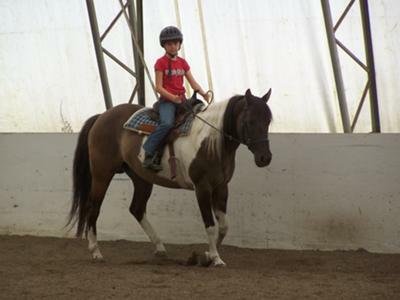 She galloped down the Arena, and I was really scared because it was the first time I had ever galloped.